Rev. 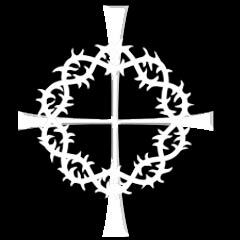 Michael J. Malley, CSV, died on Sunday, October 31, 1993 at the Resurrection Nursing Pavilion. He was 67 years of age. Michael John Malley was born in Detroit, Michigan on February 26, 1926. He was the son of James and Lillian Malley and one of five children. Michael graduated from Sacred Heart Seminary High School in Detroit and entered the Viatorian Novitiate in 1948. He completed his studies in American Literature at De Paul and was ordained in 1954. Michael also earned a Masters Degree in political science from the Catholic University of America. Mike had a varied career in the ministry. 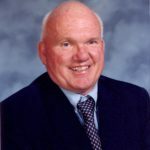 He spent many years teaching in secondary education at Cathedral Boys High School in Springfield, St. Gregory High School in Chicago and Spalding Institute High School in Peoria. In 1959, after extensive language study, Michael began his ministry as a missionary in Japan. He worked at Rakusei Jr. and Sr. High School in Kyoto, Japan and Notre Dame College in Kyoto, Japan. Mike also spent many years as a parish priest in Reno, Nevada; Cutoff, Louisiana; Lockport, Louisiana and Thibadeaux, Louisiana. In 1979 he began his career as a hospital chaplain. First, at St. Mary’s Hospital in Kankakee, Illinois, and then 10 years at Elmhurst Memorial Hospital in Elmhurst, Illinois. Health reasons prevented Michael from serving as the pastor of St. George Parish in St. George, Illinois. Visitation for Father Malley was held on Tuesday, November 2, 1993 from 3:00 p.m. until 9:00 p.m. at St. Alexius Church, 400 Wood Street, Bensenville, Illinois. Wake Services were held at 8:00 p.m. Visitation took place at 9:00 a.m. until the Funeral Mass which was celebrated at 11:00 a.m. on Wednesday, November 3, 1993. Burial was at the Queen of Heaven Cemetery in Hillside, IL. 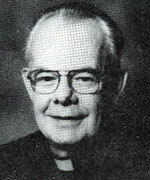 Father Malley was survived by his brother James P. Malley, of Farmington, Michigan; Daniel F. Malley, of Dartmouth, Michigan; and Gerald D. Malley, of Livonia, Michigan. Remember Father Malley in your prayers and gather together in local communities to remember him in Eucharist.